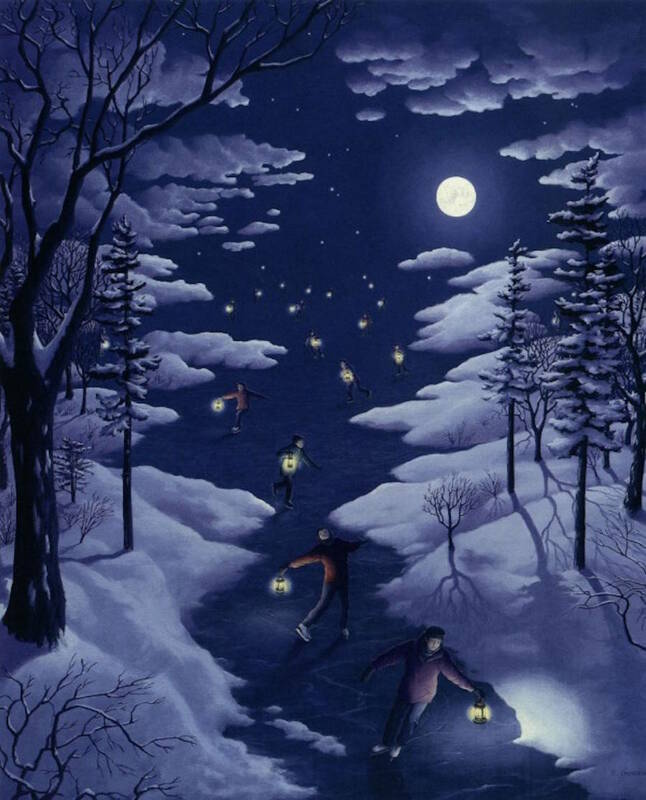 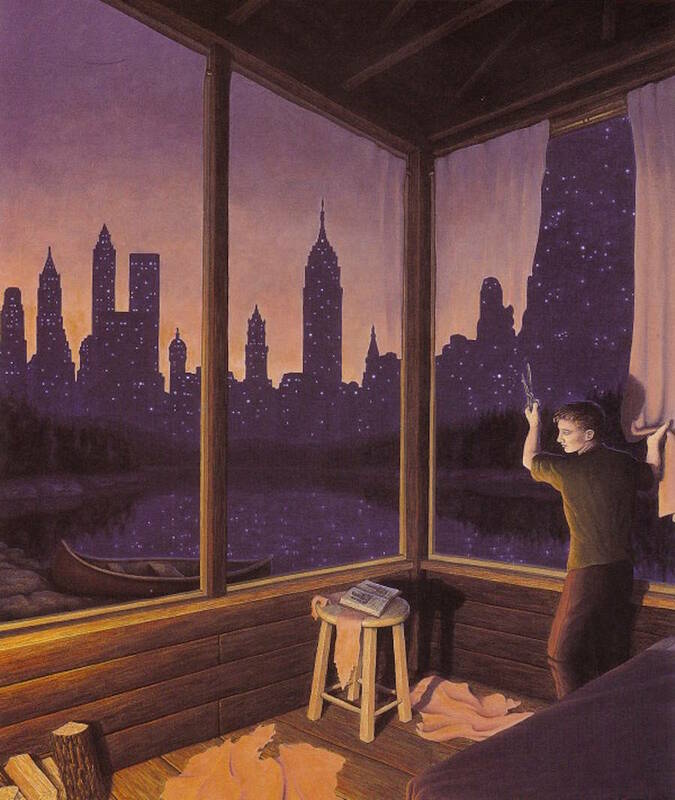 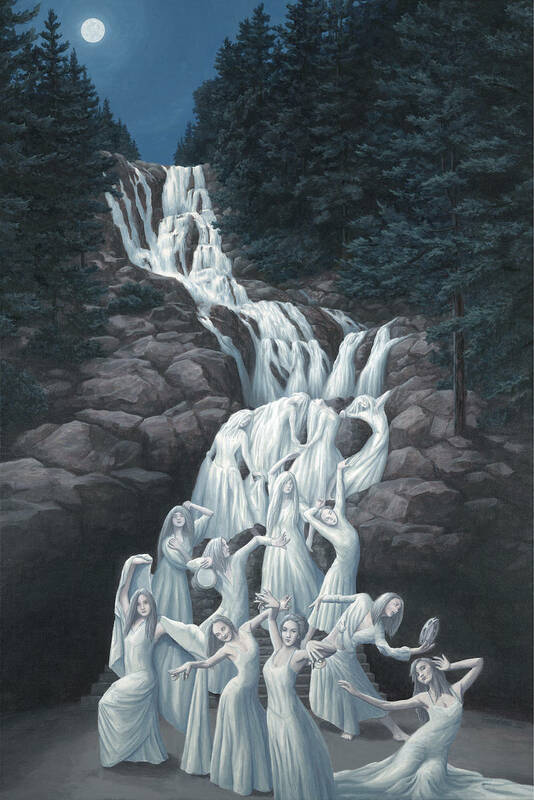 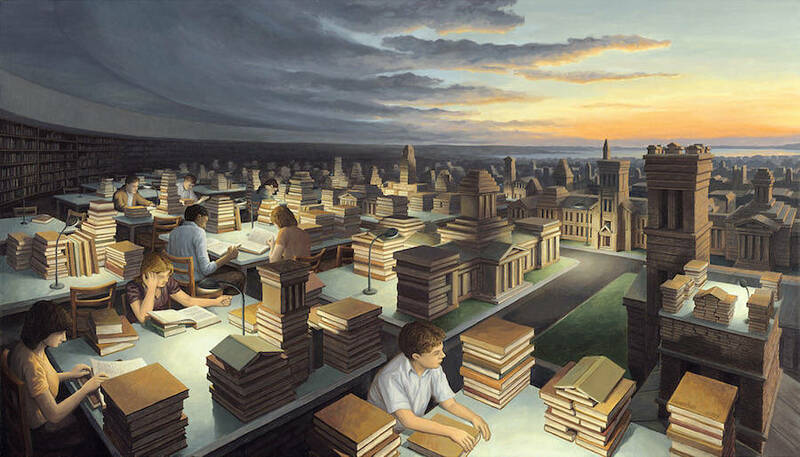 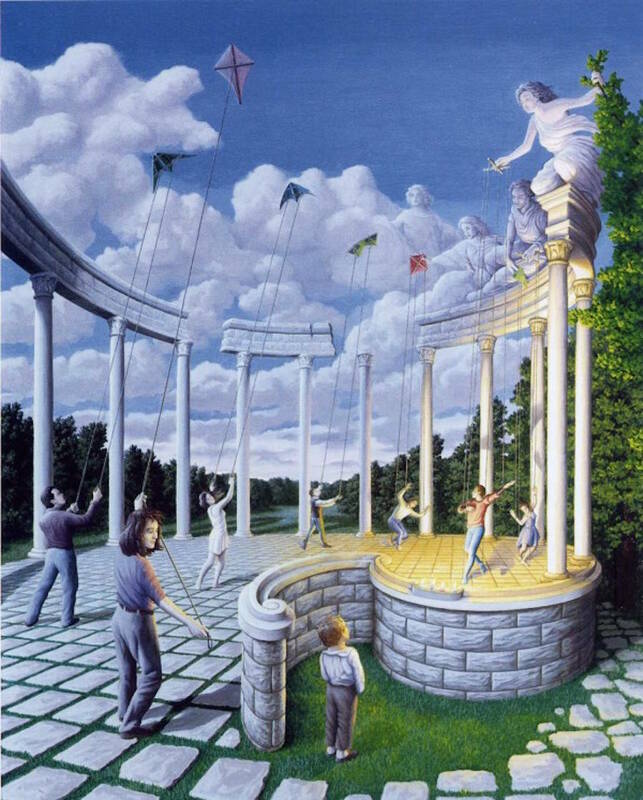 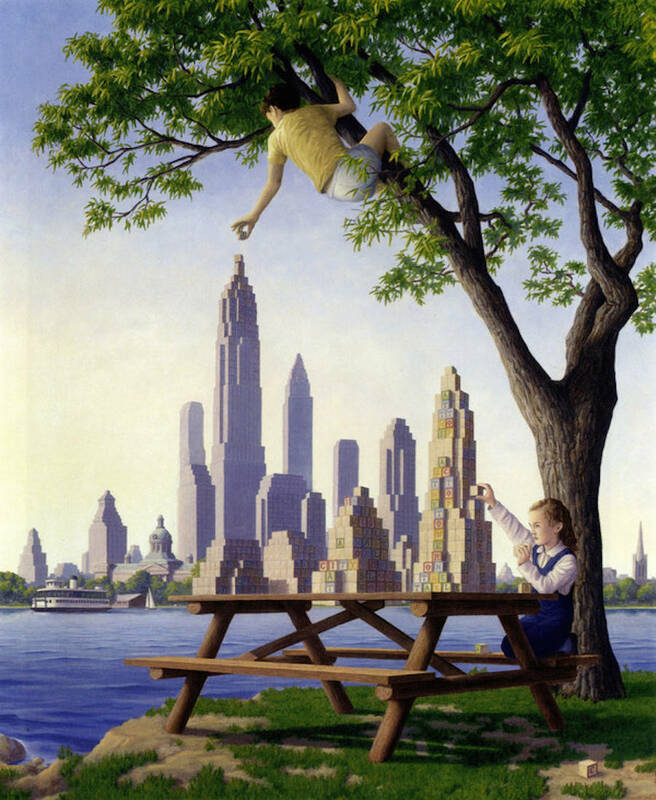 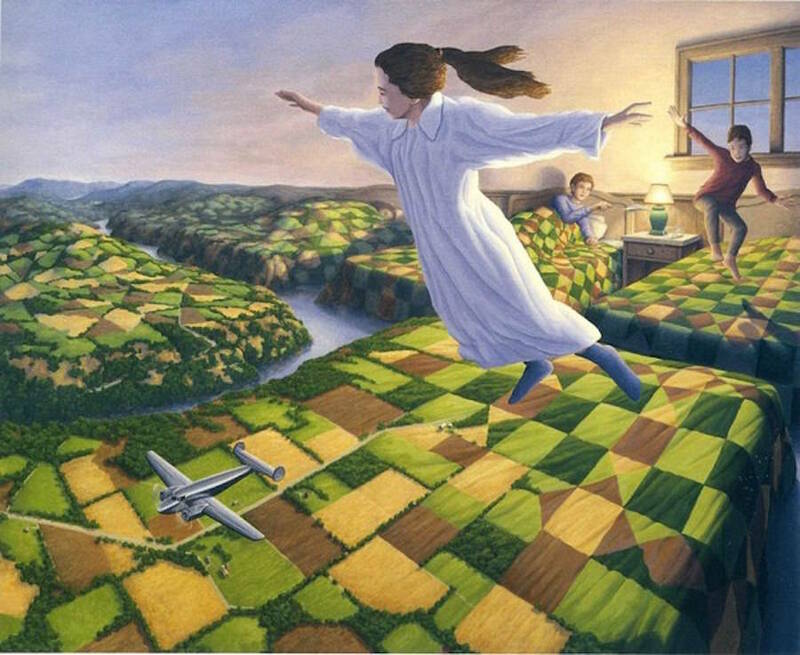 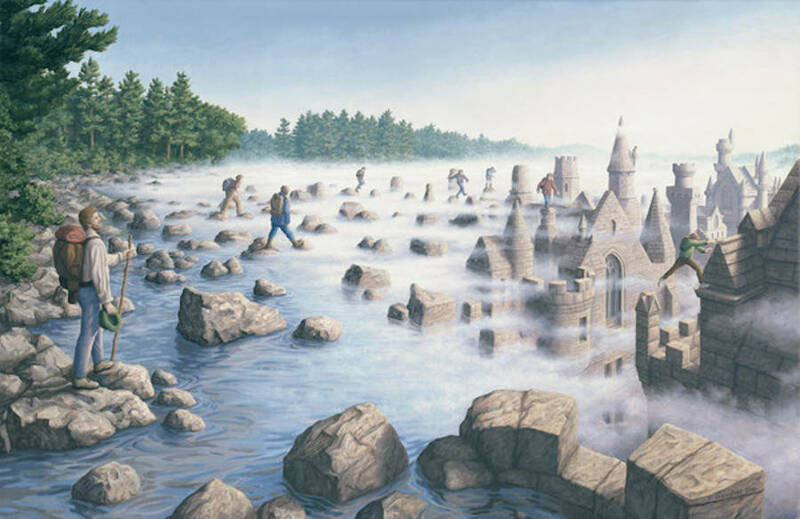 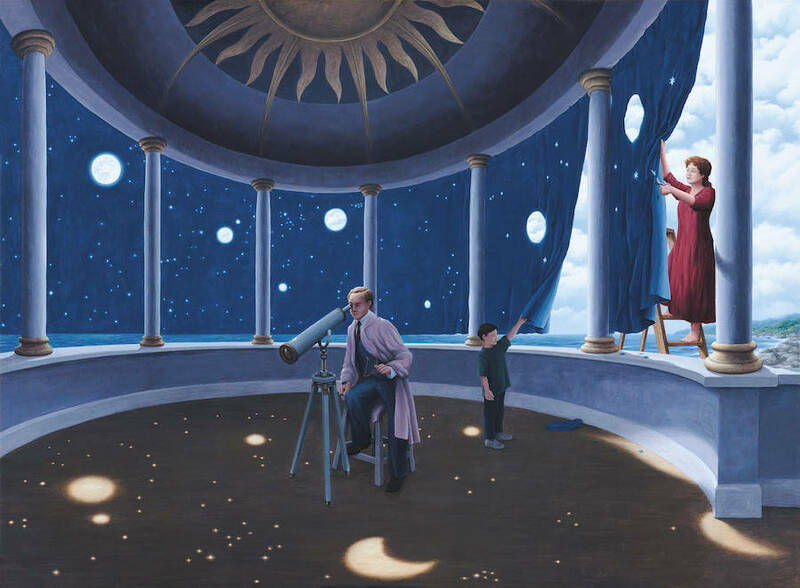 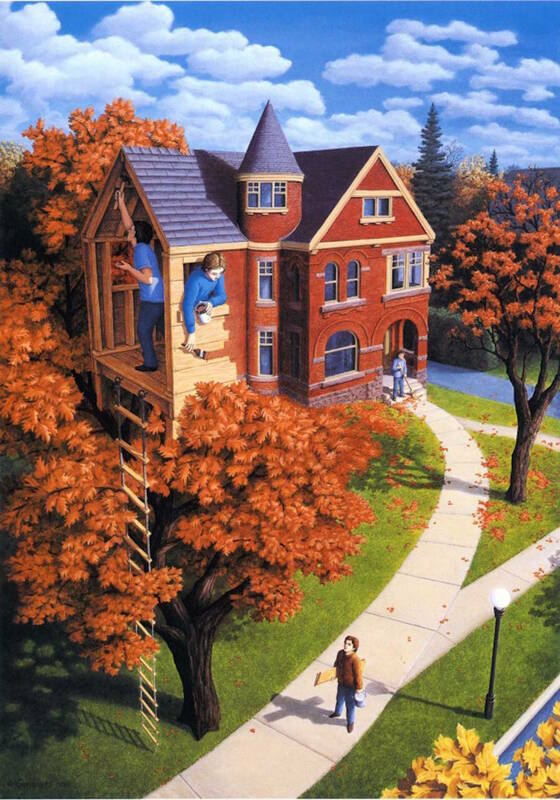 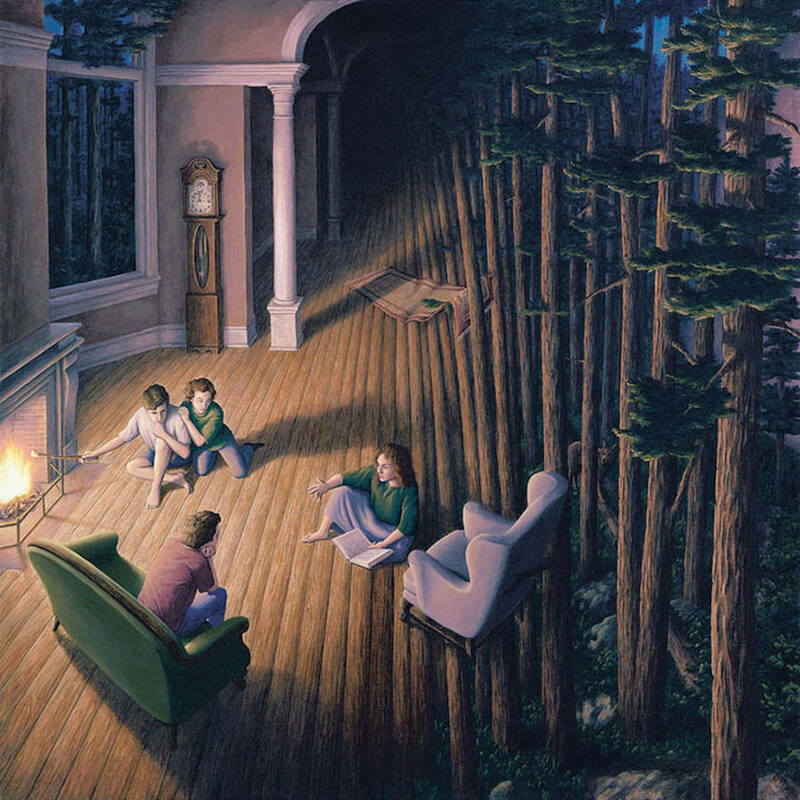 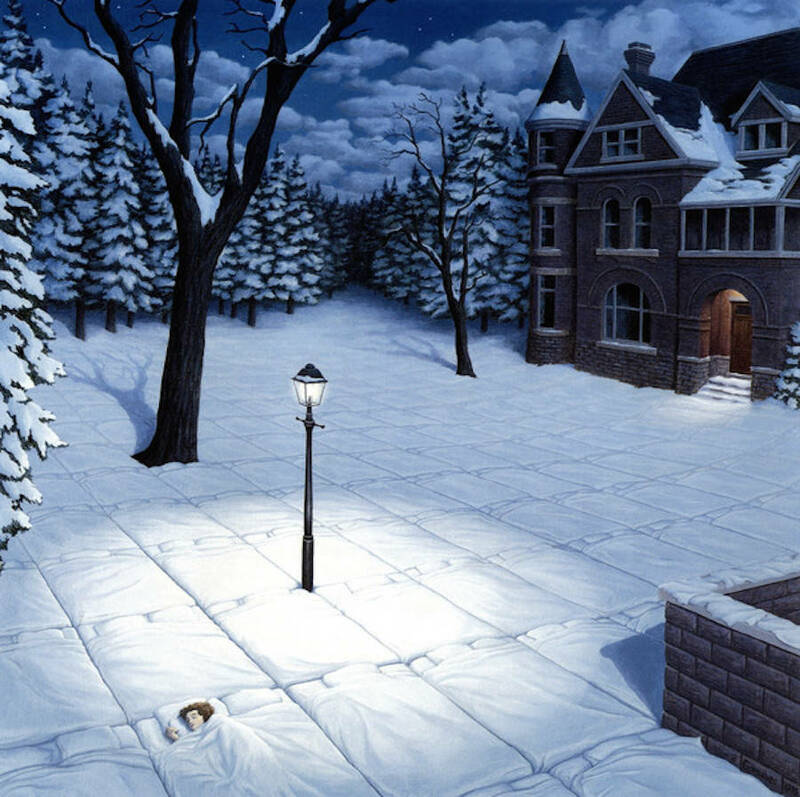 The Canadian artist Rob Gonsalves is a member of the artistic movement magic realism. 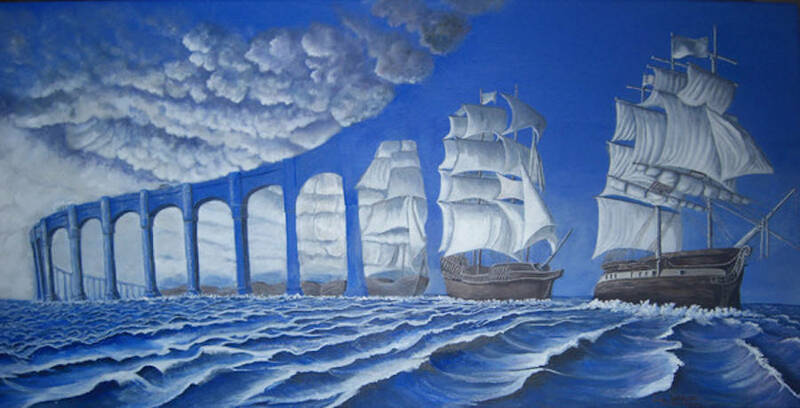 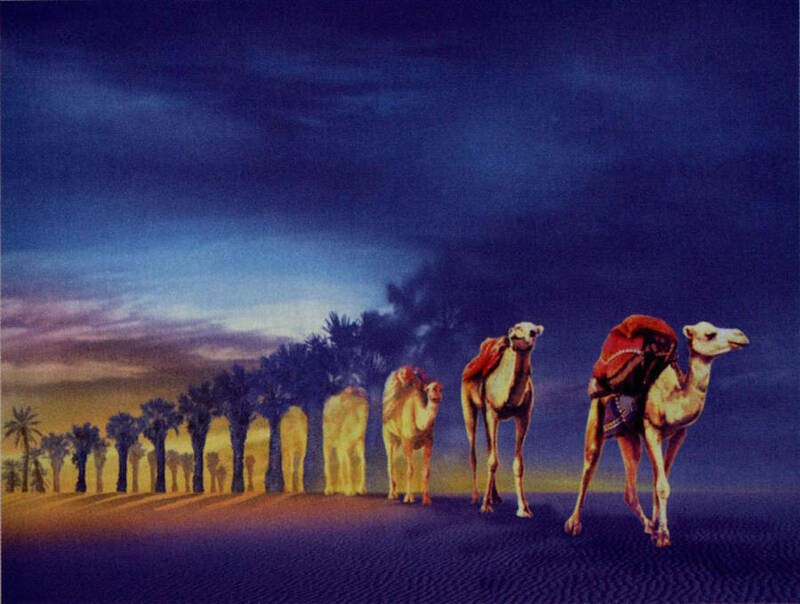 His works, made of optical illusions, play tricks on our perception, make us wandering between dream and reality. 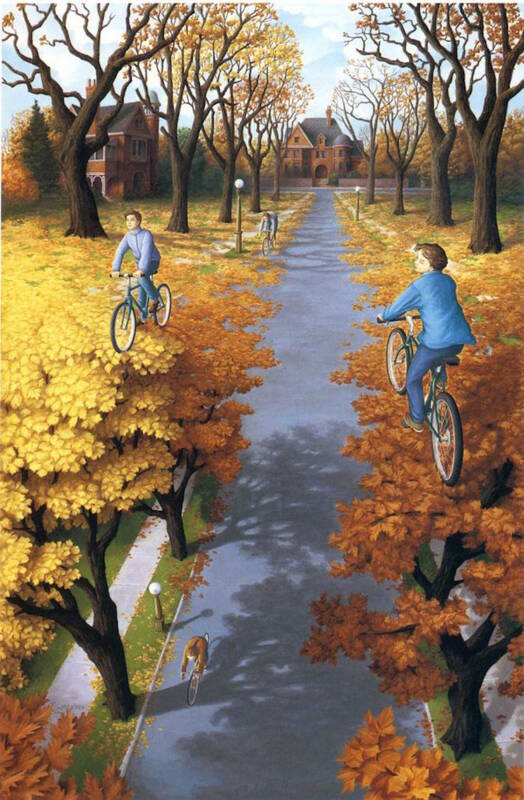 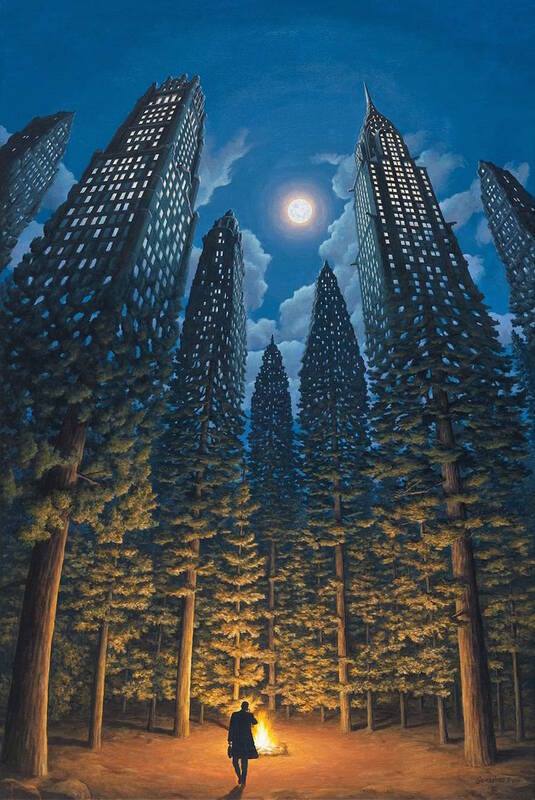 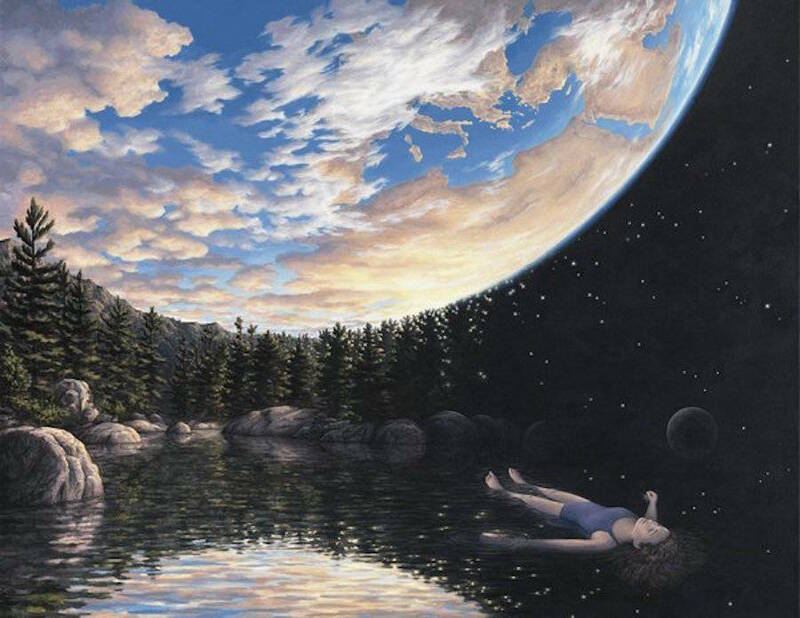 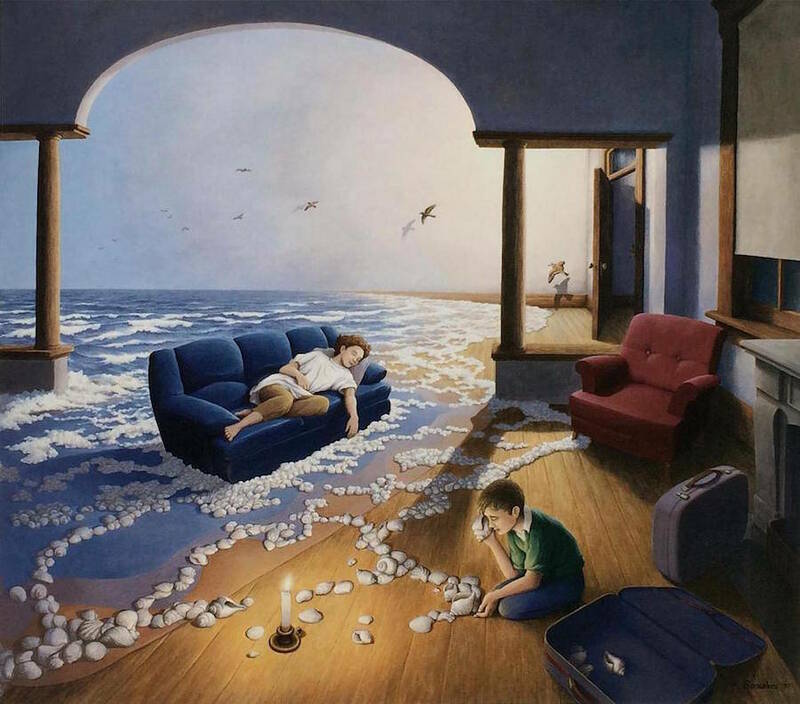 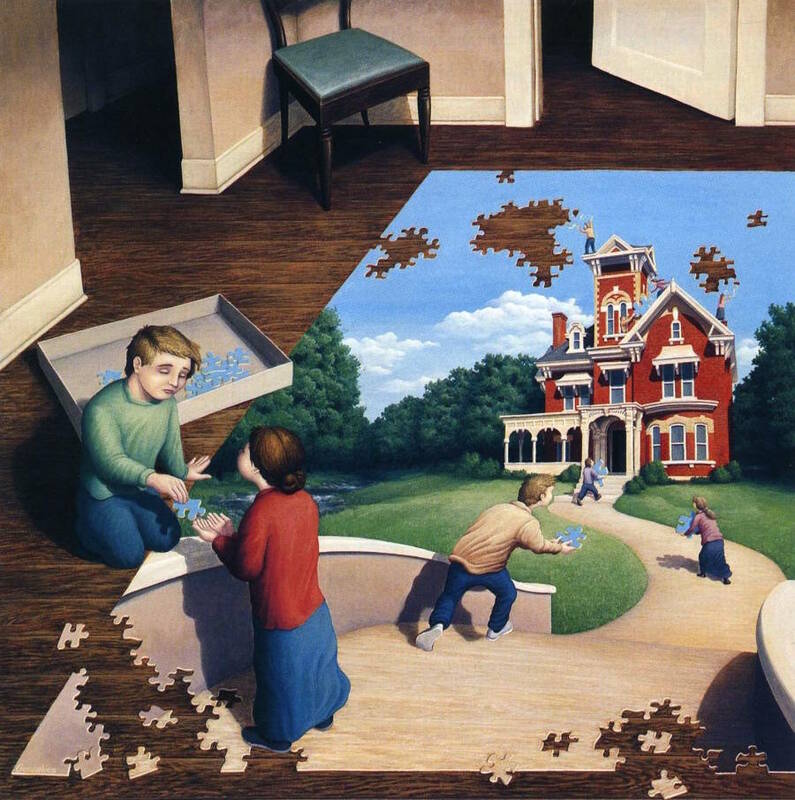 The perspective plays a large part in his paintings, that allows to fool our mind.